Yes, it’s quite difficult to make the habit of keeping a diary. You start out strong the first few days, but after a while, you just seem to forget about it. 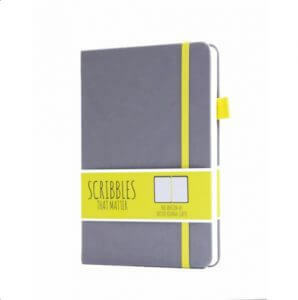 Now, keeping track of your days can be much more fun with the vast array of designs available for diaries. 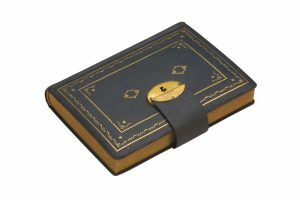 There are even diaries with locks to make sure no one can sneak a peek! We’re going to tell you what you need to know before choosing a diary, and of course, introduce a few great products. Nowadays, blogging has become too normal, making the old school diaries “one of a kind” and popular again. There are a lot of diaries available in the market, and that can be a bit confusing. We will show you here the steps on how to choose the right diary for you, depending on your writing style. Be sure to read through them to understand the different diary style too. Depending on the diary, there are those with dates on it and those without them. They both have their pros and cons, but it is easier for one to skip on writing if there are no dates, because the owner can adjust the dates however possible. Those without dates can be used at any time of the year. If you want to track your diet, your baby’s growth records, then this is the one for you. You can start whenever you want, but also, you can stop, and skip whenever you want too, making it harder to do it in a daily manner. Although for those who are used to writing a diary on a daily basis, then the dates won’t be a problem at all. The place where you write your diary varies from person to person. “Diaries are written at home” is the first thing that comes to most people’s minds. 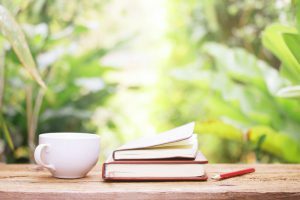 Though there are people who want to write during their free time while they are out, or maybe during their break time. The pointers to keep in mind will also change depending on the place where you plan to write. It will be a hassle to bring it around if you plan to write in your diary outside your house. There are people who love writing in their diaries in a coffee shop, and smaller diaries are recommended in that case. For those who are planning to write all the details down at home should opt for a bigger diary. The cover design is the first thing you check when purchasing a diary. For those who like to bring the diary wherever they go, or for those who use a “3-year diary” and plan to use them on a long-term basis, should choose a diary with a hardbound cover for their durability. There are people who use diary and planner in one. Forgetting to write down can be prevented this way, but if you’re going to bring it along to a business meeting, then the design should match that scene too. Think about why you are going to write in a diary. Is it just to keep track of daily happenings, or to keep track of a specific or special goal? Deciding on which will make a lot of difference in what type of a diary you need. There are diaries nowadays that are made specifically for a certain goal, like maternity diary to keep track of your pregnancy, or child growth diary, or diet diary, and many more. Think about the diary’s purpose, while looking at the ranking. We included basic diaries and special purpose dairy in this ranking. Keep in mind the “Buying Guide” we’ve mentioned earlier, and choose the ones that would help you with keeping it a habit. Let’s now move on to the “Top 10 Best Diaries” ranking list. 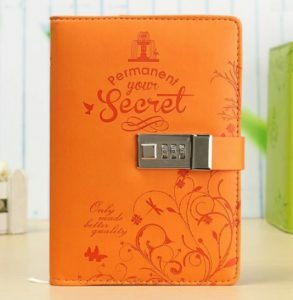 This diary has a leather cover that says “Permanent your Secret”, and it’s going to do just that. It has a 3-digit passcode that you can set yourself (tentative passcode is 000). The old school diaries we know come with a tiny key that can easily get lost. This passcode eliminates that problem. It has lined pages inside, and the best part is, they’re replaceable. You can buy a new notebook/journal once you’ve finished up all the pages. Although that would mean the old notebook won’t have a lock and can be read by anyone. Use It As Long As You Want! This planner has the most common refill that you can buy at any bookstore. You can even choose the kind of refill that you want to use, from the blank pages to lined pages, to blank calendar pages. So many options to choose from, to get the best page combination for you. The cover is made of durable leather that can last for years. You just keep refilling the pages, and you’re good to go. Perfect for those who want to get the most out of their purchase. 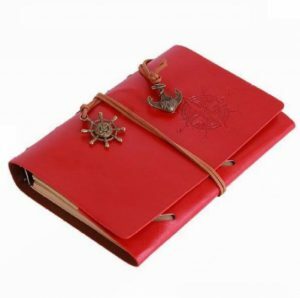 The best part of this diary is it has a picture frame cover, where you can create your own design. You can put pictures of your loved ones, a collage of their pictures, your calligraphy work, or your doodles. Highly recommended for those with the love for art. This also comes with 2 convenient sleeve pockets. The journal that comes with it is replaceable too. 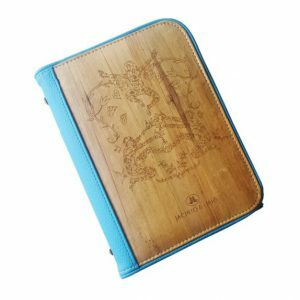 Its size is very compact, and you can use it as a passport cover during your travels. The best feature about this planner is its premium ivory paper. You can write on it with a pen, gel pen, sign pen, marker, without worrying about ink blots and smudges. Perfect for those who want a colorful diary to represent their colorful life. This is an all-purpose diary that you can use for practically anything. It comes with a waterproof cover too, and a pen holder that would make it convenient in a lot of ways. It can be a little too expensive, especially for students, but can be totally worth it if you have the extra budget. 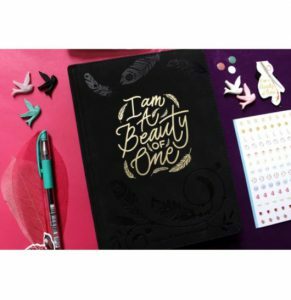 This 12th edition of the Belle de Jour Power Planner is made and developed to empower and inspire women in our times, to achieve their dreams. Highly recommended for ladies who find it troublesome to have a separate diary, and a planner. The weekly calendar has big enough space to serve as your diary, and it also has a monthly calendar, cash flow tracker, menstrual tracker, etc. that can help every woman there is, keep track of anything. This journal comes with a scratchable world map, that is grouped per continent. You scratch the map of the country you’ve been to, and never stop traveling until you’ve scratched them all off! Also compact enough to sneak it into your luggage without taking up too much space. 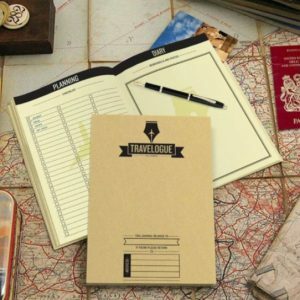 It has checklist pages where you can write down all the things you need to go on your trip, the diary pages where you can write down all your experiences, the pages where you can write down all useful information, etc. Everything you need to make sure you have a safe and complete trip! This does not indicate the exact dates on the pages, but it will tell you how many days of the year has gone by, if you’re on the 1st day of the year, the 10th day of the year, and so on. These can help you greatly in instilling a habit of writing your daily activities, because skipping for a day, means leaving the whole page blank. Highly recommended for those who are just starting out, and failed many times. Very affordable for its high quality too. 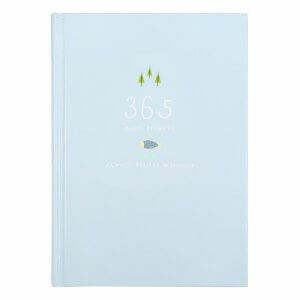 We also recommend to start this diary on your birthday, and write down your life events per your age. How was the top diaries ranking? Were you able to find your favorite? Most people think of diaries as something you start on a new year’s, but there are now diaries where you can control the start date. We also recommend starting a diary on one of your special days or anniversaries. Purchasing a new diary will make you feel sharp and ready to start a new life. We highly recommend it!